The two emerging economies of China and Russia might be ranking differently on the global economic scale but it seems they have something in common: a growing interest in the Asian region. Both the countries are witnessing a downfall in their economies. 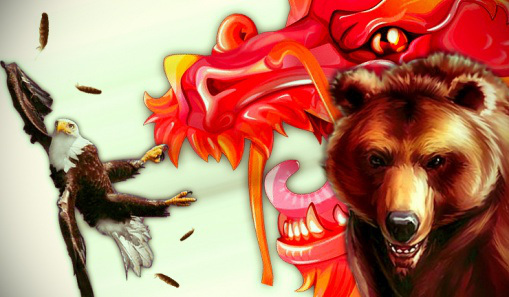 China had a $3 trillion crash in the main stock market from the peak just about four weeks ago with real estate markets getting affected whereas Russia has its own worries: western sanctions over Ukraine crisis; trouble with its local currency- the rouble; its trade ban with 28-nation EU and falling oil prices. The two struggling nations now turn towards Asia to focus on building their own strengths in the region. Recently, there have been some significant developments in both the countries that have contributed towards Russia’s close association with China. One of the significant developments that link Russia to China came through their breakthrough deal in the energy sector in 2014. A whopping $400 billion natural gas supply deal involved construction of a 2000-mile gas pipeline starting from eastern Siberia to northeast China. In November last year, a second deal allowed the two countries to develop another line that connected western Siberia to China’s Xinjiang province, also called the “Altai” route. This route will give Russia the power to control its gas supplies to east or west since the route taps the same gas fields in western Siberia that currently caters to Europe. The gas line is scheduled to be fully operational in 2018. The western sanctions that have been holding Russia back from stabilizing its economy could be counterbalanced by this new energy deal with China. It may allow Russia to shift its focus from Europe to Asia since the country itself faces stringent sanctions from the west. An estimated loss of approximately $40 billion due to sanctions plus $100 billion loss in oil revenue has stagnated the Russian economy. The history of China and Russia has not remained conflict-free. Unresolved border disputes have made the two nations more of opponents than allies. Shanghai Cooperation Organization (SCO) tries to establish a mutual trust in the military area in the border regions through genuine partnership. It has member countries of China, Russia, Kazakhstan, Kyrgyzstan, Tajikistan and Uzbekistan. SCO focuses on activities related to political, economic andmilitary organization. It will promote democracy, equality and regional security by fighting against rising threats due to terrorism, separatism and extremism. Through SCO, Russia and China have both realized the shared benefit of expanding the grouping in order to challenge the developed countries. India and Pakistan are the new approved members of SCO, the membership of which will begin in 2016. Recently at Ufa, Russian President Vladimir Putin and Chinese President Xi Jinping discussed a potential framework, which could connect China’s infrastructural network (roads, railways and pipelines) to Eurasian Union, which includes Armenia, Belarus, Kazakhstan, Kyrgyzstan and Russia. Besides co-operation at borders, the two countries are also looking towards using two other mechanisms so as to strengthen their economic and financial ties:Asian Infrastructure Investment Bank (AIIB) and BRICS New Development Bank. The recent change in relations has been the result of combined interest in regional economic projects. Russia and China aim to be members of AIIB and NDB that are relatively new when compared to SCO. While China led AIIB has gathered 57 members across the world, BRICS New Development Bank remains a small group with five nations of Brazil, Russia, India, China and South Africa (BRICS). The latter is all set to take off with an intention to develop economic relations amongst the developing countries. It is considered to be an important institution for emerging countries with a hope to finance many important infrastructure projects. China and Russia have contributed US$41 billion and US$18 billion respectively in the US$100 billion towards Contingent Reserve Agreement. Many critics are of the opinion that the New Development Bank is formed in order to stop the growing influence of developed nations of the west through international organizations like IMF and World Bank. But Russian President Vladimir Putin has repeatedly stressed that the Bank is not a replacement for the established Western institutions, but is complementary. AIIB, on the other hand, is larger with 57 members and a reluctant Russia joined the bank in March 2015. Russia has a 6.66 percent ownership stake in the bank whereas China holds a 30.34 percent share. The two banks are yet to begin lending in the region but they reflect a strong economic cooperation between Russia and China at an economic and investment level. The changing relations of China and Russia are also not based purely through partnerships but also through their support in each another’s projects. Russia has been supporting China’s ambitious infrastructural projects like the Silk Road project and the Eurasian integration project, which connects China with Europe via Russia. Russian Finance Minister Anton Siluanov said, “The establishment of multilateral development banks, such as the Asian Infrastructure Investment Bank, will be a step towards further increasing the amount of funds for financing our infrastructure projects.” According to Reuters, Chinese banks have become an important source of loans for sanctions-stricken Russian businesses and Chinese companies have even provided Russian companies with technologies that they could not longer access due to the sanctions. But while the equation between the two countries might be positively changing, many experts hold mixed views about Russia’s growing association with China. Even though many bilateral projects and banks have been initiated, very little progress has been made so far. The two countries had a disagreement over $25 billion prepayment over financing a pipeline construction that China had assured. 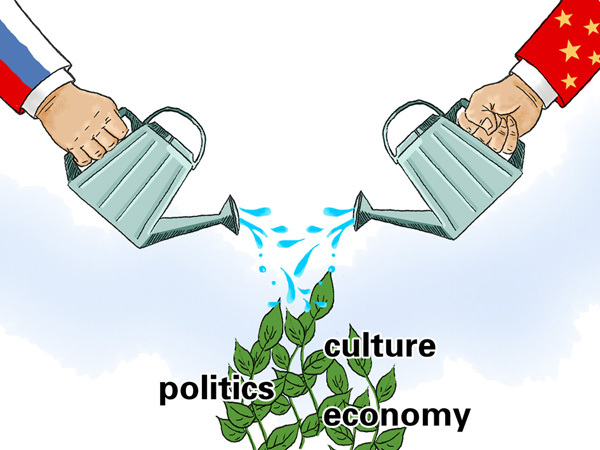 As of now, the focus of both countries seems to be more on gaining back their lost economic stability within the region rather than competing with each other. How long this partnership lasts will probably depend on which country achieves a stronger economic ground first.